I am so excited about today. Get out your lucky charms and head for a wishing well. Today, all wishes are 2x as likely to come true. 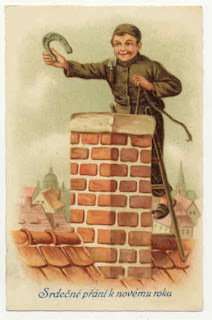 This picture of this little guy on the roof looks more dangerous than lucky. It scares me. My dad hasn't been so good, so I'm excited about my wish. Darn---I missed it. It's 11/12 today.